Or view larger version. African American and Caucasian women take a break while working at the Richmond Ship Yards. 1942. Dorothea Lange, photographer. Gelatin silver print. Collection of Oakland Museum of California. Gift of Paul S. Taylor. 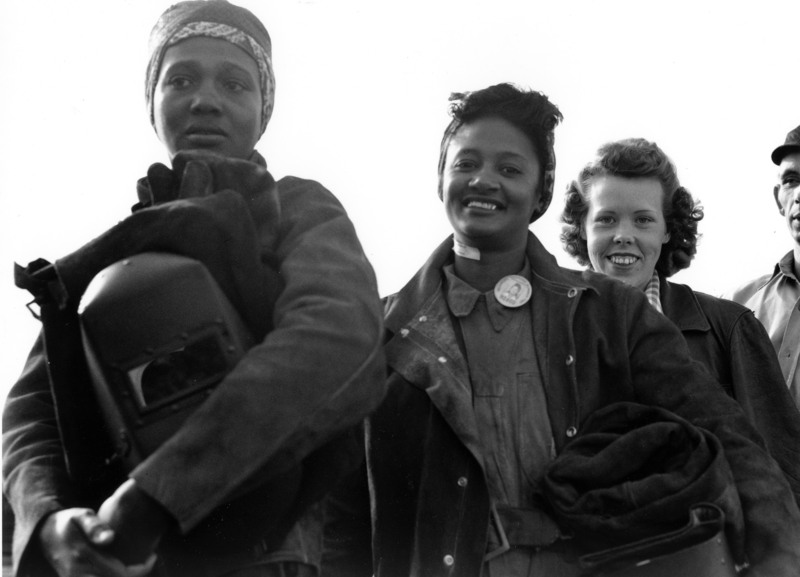 In this 1942 picture by renowned photographer Dorothea Lange (who gained international fame for her 1935 photos of Dust Bowl migrants), African American and Caucasian women take a break from work at the Richmond Shipyards.